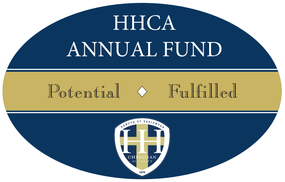 Many families ask us about our fundraising practices at HHCA, so we would like to take the opportunity to address those questions. Tuition and fees are intended to cover normal operating costs of our school. That is why opportunities to support other needs at HHCA financially through fundraising will always exist. Unlike public schools, we do not receive government funds. When donors contribute to needs or projects, many things can be purchased that directly impact our students’ lives and enhance their learning experiences. For many families, providing a private Christian education for their children involves significant financial investment and sacrifice. We want to create an atmosphere where a family can give joyfully and not feel they are being asked to give beyond their means. Throughout the school year, there will be opportunities to give, but our desire is that you would not feel pressured but would prayerfully consider each opportunity. We do not desire any of our families to experience donor fatigue.